Following the reading group on Novatore’s Towards the Creative Nothing we will read together one of Novatore’s inspirations- Henrick Ibsen. Ibsen’s play is called A Public Enemy with ten speaking characters. Each of us can take on a character, or split them as we see fit and we will read the play as the characters together. Reading time about two hours and we will start at 7 pm. We will be discussing a text that was published in Wreck, that relates to the role of the ally, indigenatity and anarchist identity. Join us for the launch of the third edition of Wreck, your favourite (read: the only) local anarchist publication! Sorry everybody but we had to postpone it the the following sunday, it’ll be an afternoon event this time. In this issue, we have a couple articles that deal with the current context in the Downtown Eastside of Vancouver and accounts of struggle there. There is also an account of the struggle at Lax U’u’la (Lelu Island) where indigenous, anarchist and other forces are stopping the construction of a liquified natural gas plant. There is a review and analysis of the concepts and implication of a book written by a Yippie and anarchist from Vancouver and areas close by. There is a devastating critique of “safety” in the radical imagination. There is some coverage of events elsewhere on this continent that might be of interest to anarchists locally. And some other stuff. We will have a talk about the new edition, give out new copies, and hang out. Help us welcome Aragorn, author of “Nihilism, Anarchy & the 21st Century” and “Anarchy & Nihilism: Consequences,” for a workshop and conversation on the topic of anarchist nihilism. 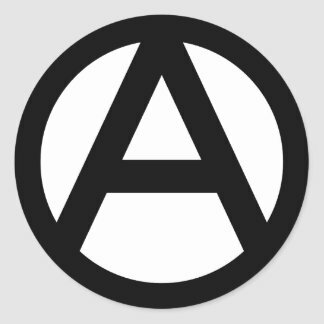 There is a version of anarchism that defines it as the most hopeful of perspectives. It is a political summation of a fierce faith in the capacity of humans to be free. Nihilism, on the other hand, is often described as an expression of hopelessness, political and existential. Anarchist nihilism attempts to exceed both positions by moving past the falseness in the hope/not hope binary and asking questions that range from the deeply personal (identity) to the most /realpolitik/. Rather than a strict political, metaphysical, or individuated perspectve the anarchist nihilism we will discuss will be one of practice. How does one “do” an extreme critical position? Stick and Poke is a witchy west coast folk punk band consisting of Lauren Boyko and Alison Soldink. Both musicians are singer songwriters and acoustic instrumentalists. Constantly learning and creating magically melancholy harmonies for all those who wish to listen. Accessibility Info: The venue is situated on the south side of Blood Alley Square. There are several cobblestones, but there is ramp access and it’s an open space once inside. There are fewer cobblestones to navigate coming from Abbott as opposed to Carrall. The washroom is not fully WC accessible, the doorway is about 27 inches wide. This event is taking place on occupied and unceded Coast Salish Territories. This event will consist of a screening of “The Inmates Are Running the Asylum”, followed by a discussion. The film covers the founding, running, and eventual co-optation of the Mental Patients’ Association (MPA). Ideally, the film will facilitate critical comparisons between the MPA and the current climate of service organizations in Vancouver, and explore the possibilities for bottom-up organizing around issues of mental health care. Vancouver’s MPA was formed in 1970-1971 as a grassroots response to de-institionalization and tragic gaps in community mental health. Inverting traditional mental health hierarchies, the group put former patients and sympathetic lay supporters in charge. MPA provided homes, work and a sense of belonging and self-determination to ex-patients. The proposed Petronas LNG development on Lax U’u’la (Lelu Island) and Flora Bank, part of the Skeena River estuary near Prince Rupert, will certainly fail. The struggle is being fought out on many fronts–legal, political, scientific, cultural, economic, in the media, out on the land and out on the water–by a coordinated and determined group of Tsimshians who will never back down or be bought off. The resistence is being led by the Gitwilgyoots, with the support of the Allied Tribes of Lax Kw’alaams, other Tsimshians from Hartley Bay to Metlakatla to Kitsumkalum, Gitxsan and Wet’sutwet’en hereditary chiefs, crews with Haida, Babine, Tahltan, Nisga’a, Haisla and people from all over. According to an insider at the B.C. Premier’s office, Christie Clark is “shitting her pants” over the situation. Petronas is on the verge of cancelling the project. Please join us for a discussion of on-the-ground-and-water aspects of the resistance with defenders from the camp. The event will be of special interest to people wanting to visit the island and join in direct but disciplined tactical responses to aggression by Petronas contractors and who have respect for the Tsimshian hereditary system. We will also screen the new short film “A Last Stand for Lelu” (https://vimeo.com/152232324). Donations to help pay for the costs of fuel, one of our main ongoing expenses, are appreciated. Note that seating is very limited. Inviting all to a reading/discussion group around the subject of autonomous self organization, using the 2005 publication “Autonomous Self-Organization and Anarchist Intervention” as a discussion starter. The reading can be picked up in pamphlet form beforehand, at 38 Blood Alley, or read and printed online at https://theanarchistlibrary.org/library/anonymous-autonomous-self-organization-and-anarchist-intervention-a-tension-in-practice. The purpose of this event is to analyze anarcha-feminism as an alternative to mainstream liberal feminism, as well as a fundamental (though often discredited) aspect of anarchism. Ideally, by focusing on feminism as a point of struggle rather than an identity label (i.e., as an unending process rather than a series of rights-based campaigns), we can talk about what anarcha-feminist organizing might look like. A feminism rooted in anarchism acknowledges that equality and capitalism can’t co-exist; that eliminating leaders takes precedence over striving for women leaders; and that co-operative, anti-authoritarian organizing is the means that should become the ends. The reading below is suggested as a conversational starting point, but isn’t mandatory. If you want to just hang out, that’s fine too. The event is open to self-identified women. Come learn about anarchist ideology, practice, and history, or just share with the group what it all means to you.